Lunch Plus One is a simple outing to do with a friend or two or a relative. 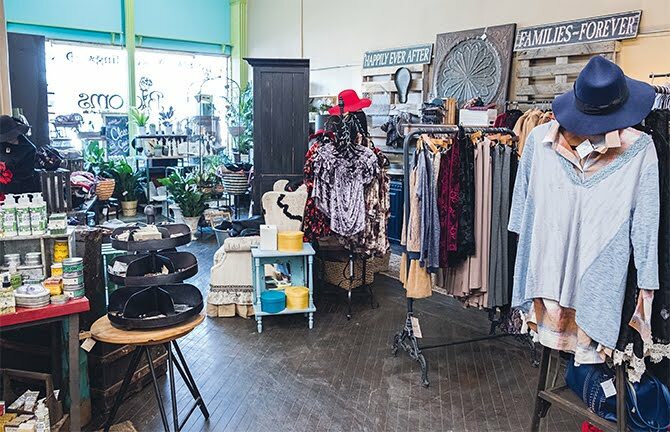 This spring outing takes you to historic LaGrange, Kentucky, for a casual lunch and a brief shopping excursion. 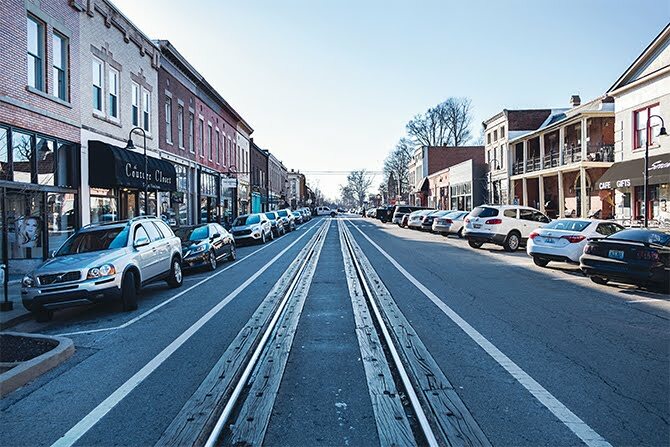 Here is a chance to explore what LaGrange, Kentucky, has to offer. A short 30-minute drive up I-71 from Louisville puts you right at the courthouse and village green. Keep an eye out for the trains that run right down Main Street. Toot Toot. This fun restaurant has a down-home funky vibe. 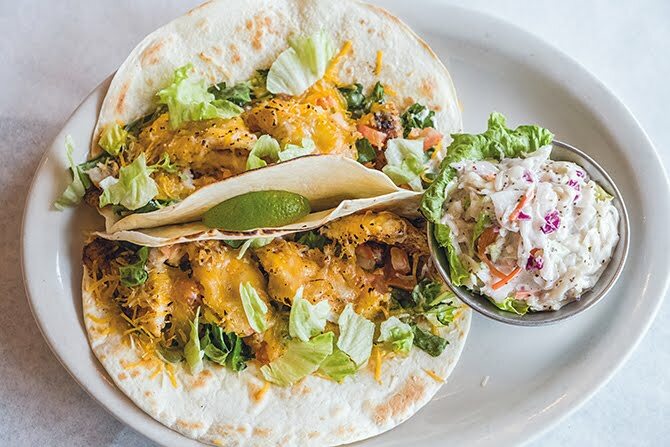 It offers amazing lunches ranging from fish tacos to a full Thanksgiving dinner of turkey and dressing. 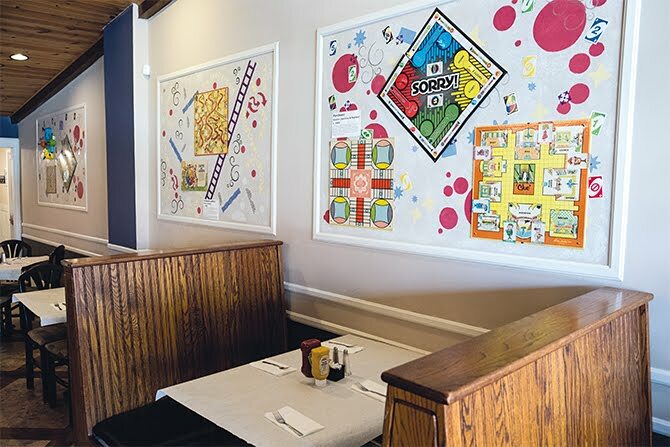 The walls are brightly decorated with board games: Clue, Scrabble, Parcheesi. Salads and sandwiches are also on the menu, but next time I go I really must give the smoked Gouda mac and cheese a try. 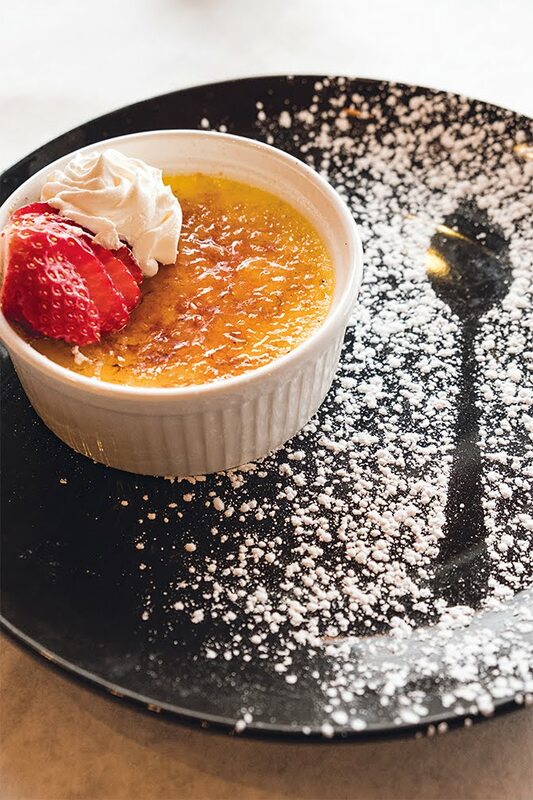 Save room for the Madagascar vanilla creme brulee. There are a variety of small shops along Main Street. Take your time and visit the 1887 Country Store, Friends and Fiber yarn shop, Rainy Day Resale consignment, Gallery 104 art gallery, and Karen’s Book Barn. There are also a children’s store, LaGrange Coffee Roasters for a dose of afternoon caffeine, and an ice cream parlor. As you stroll along be sure to notice the colorful artwork painted right on the sidewalks!